Master percussionist, musical nomad, Marc Anderson has long been associated with Steve Tibbetts and his brand of elegant world fusion. In addition to Marc’s own playing on berimbau, mbira, steel drums and African drums, Ruby features an all-star cast of global musicians including: Barb Cohen, vocals; Laura Mackenzie, bagpipes; Dean Magraw, guitar, Sowah Mensa, water drums; Peter Ostroushko, fiddles; and Enrique Toussaint, bass. The Enhanced CD also features a music video and an interactive game where you too can play with Marc’s wild collection of instruments at the touch of a mouse. 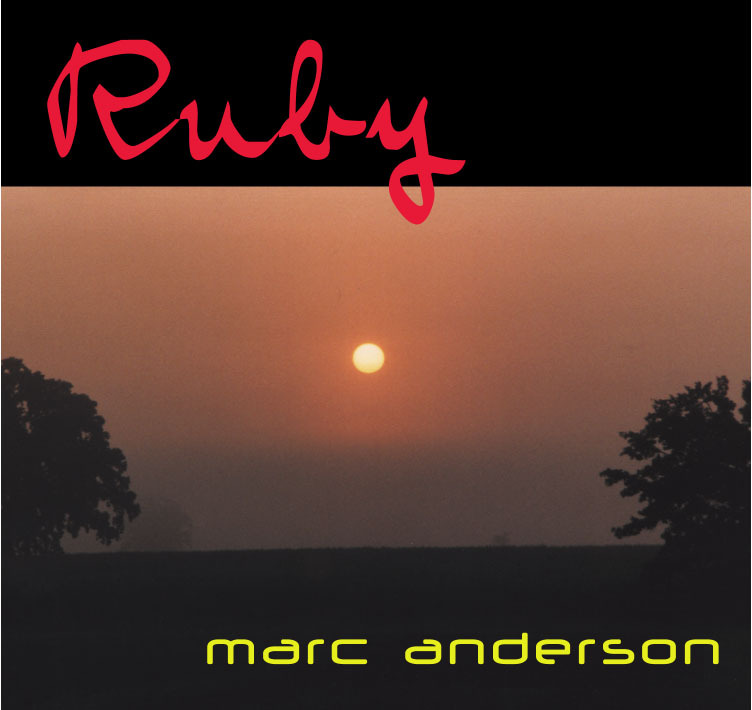 With the magic of electronics (as well as an incredible ear and lots of talent as a percussionist) Marc Anderson has mastered the elusive genre of "world fusion," blending steel drums seamlessly with bagpipes and period flutes. Special features on this enhanced CD include a music video and an interactive "game" where you can make your own mixes using Marc Anderson's menagerie of bizarre sounds.